Quality Construction is skilled in the installation of siding such as: vinyl, aluminum, cedar shake, hard wood, fiber cement, brick veneer, and stucco. 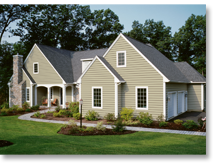 Each type of siding has its benefits in curb appearance, cost effectiveness, maintenance, and resale value. Insulated lifetime vinyl siding is affordable, resilient, and attractive, making it a popular choice for homeowners across the country in just about every type of climate condition. Call today and a Quality Representative can come out and discuss the details and which type of siding best suits your individual needs. Keep in mind we have many financing options available as well! From energy efficiency to aesthetics, siding brings all kinds of benefits to your home. Exterior siding keeps structures free from insects, moisture, dust, and mold. With the proper insulation it can also help lower a home’s heating and cooling costs. And of course, new siding instantly improves any home’s appearance and value, making it easier to sell in the future. Exterior siding’s most basic function, however, is weather protection. 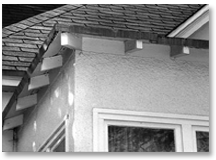 It keeps water from seeping in after a rainstorm, and if installed properly, can protect a home from strong winds. If your siding isn’t preventing the elements from damaging your home, then it may be time to consider replacing it. If you have questions or concerns regarding the siding on your home feel free to contact Quality Construction and we will send out a representative to do one of our free digital home inspections at no cost. While hardwood siding is not popular today, it was a very common choice on many homes for over 100 years. It used to be made of raw hardwood, such as hickory beech, yellow wood, soft maple, sycamore, and red oak. Often times older hardwood is difficult to match which can make doing small repairs difficult or impossible. If your siding has been damaged by a hail or wind storm and it cannot be matched, your insurance company will pay to replace the entire siding with a comparable product. Vinyl is one of the most popular siding choices amongst residential homes today. Its extreme durability and vast color options makes it an attractive choice to many of Quality Construction’s customers. 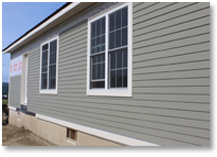 Vinyl siding is also looked at as needing very low maintenance. You will never have to paint again!! More often than not if the siding you currently have on your home is structurally sound vinyl siding can be installed right over the top of it! This saves you money in removal and disposal charges! 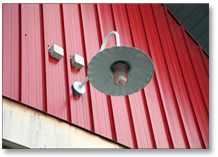 Aluminum siding is also known for its durability and low maintenance. This is an ideal choice for wet climate states. Aluminum siding is great for many homeowners and it carries a wide range of colors, textures, and styles. There are even styles that look like shingle or shake siding. If Aluminum siding gets a large dent or a pipe bursts the entire elevation needs to be replaced to prevent future damage. Whether you are looking to upgrade your existing siding out of pocket or need assistance with a claim involving aluminum siding Quality Construction can point you in the right direction. 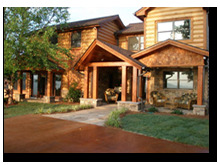 Cedar shake siding is for Quality customers that are looking for that warm, down to earth, rustic look on their home. Generally its not recommended in the wet or humid climates but if treated properly with a mildew retardant or fungicide it can last anywhere from 20-40 years! While it does tend to be a more expensive alternative to some of our other siding options sometimes the look and feel of real cedar siding is well worth it. The good news is that cedar siding tends to be easy to repair if need be. Fiber cement Siding often time provides the same look and feel of wood but without the price tag. It also carries a much longer lifespan, up to 50 years if maintained correctly! Another great thing about fiber cement is it is termite resistant, so fewer worries of bugs eating away at the exterior of your home. It has also been called the most environmentally friendly siding available today. Ever wish you lived in a brick home? Well here’s your chance!! Siding technology today has made it possible for you to get the brick look and feel you want without the drawbacks of actual brick. You are able to get better insulated siding through brick veneer rather than actual brick and you don’t have near the cost. It is also considered to be a basically maintenance free siding choice. 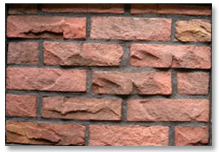 Due to its extreme resistance against fire and other damage sometimes brick veneer can also save you money on your insurance premiums. Stucco Siding is also a very low maintenance option. Stucco has a very natural, appealing look to it and can be painted to any color that a customer desires. A great thing about stucco is you as a customer can really get creative with the ability to create custom designs on stucco or stock “quoins” can be placed throughout the exterior home to provide a more custom look that will have your neighbors talking. If you feel interested in learning more about customizable stucco options call Quality Construction today!